PhD(pursuing) in Wireless Sensor Network from OP Jindal University, Raigarh. M.Tech in Computer science & Engineering (Information Security) from RGPV Bhopal - 2012. BE in Computer science & Engineering from GEC/NIT Raipur - 2004. OP Jindal University, Raigarh (C.G), Working as a Assistant Professor from Nov 2013 to till date. Worked as an Assistant Professor in Sagar Institute of research and Technology, Bhopal (M.P), from July 2007 to Oct 2013. 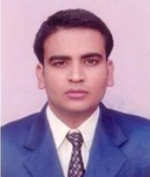 Worked as a Lecturer in Radharaman Institute of Technology and Science (RITS) Bhopal (M.P), from July 2005 to June 2007. Umashankar Pandey, Manish Manoria and J.Jain , " A Novel Approach for Image Encryption by New M Box Encryption Algorithm using Block based Transformation along with Shuffle Operation ", International Journal of Computer Applications (0975 – 8887), Volume 42– No.1, March 2012, Volume 42– No.1,Page no 9-15, March 2012,ISSN 0975-8887ISBN : 973-93-80866-67-9 . Umashankar Pandey, " Image Encryption by Disturbing the Semantics of Image followed by Modified Advanced Encryption Standards” Journal of Engineering, Management &Pharmaceutical Sciences. ISSN 0976-8416. Umashankar Pandey, Mandakini Kaushik, Ravi Keshare,” Literature Survey and Performance Analysis of Image Encryption Technique Based on Chaotic Schemes”, International Journal of Computer Technology and Electronics Engineering (IJCTEE) Volume 3, Issue 6, ISSN 2249-6343, page no 31-37. G.S .Tandel, UmashankarPandeyA.Kdandapat, “A Study OF Cloud Computing Through Environment Friendly Load Balancing Approach” , International Journal of Computer Technology and Electronics Engineering (IJCTEE) Volume 5, Issue 8, ISSN 2249-6343, page no 11-17. Saurabh Gupta, Gopal Singh Tandel, UmashankarPandey , “A Survey on Query Processing and Optimization in Relational Database Management System ”, International Journal of Latest Trends in Engineering and Technology (IJLTET) ,Vol. 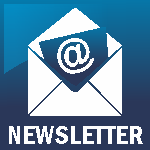 5 Issue 1 January 2015 , ISSN: 2278-621X. Supriya, Umashankar Pandey,Ram NarayanShukla, “Survey on Efficient Routing Protocols and Coverage Issues in WSN”, communicated in International Conference on Advanced Computation and Telecommunication (ICACAT 2018). Umashankar Pandey, Pradeep Rusiya, “OEDMCA: Optimizing the Energy Consumption and Delay Using Multi-Objective CRO Algorithm in WSN”,communicated in ICIREMPS2K18(International Conference of InterDisciplinary ResearchInEngineering, Management, Pharmacy & Science). Umashankar Pandey, Jayram Dwivedi “Performance analysis of DES, RSA and IDEA algorithm on data(image)”, ICIREMPS 2K15(International Conference of Inter Disciplinary Research InEngineering Management, Pharmacy & Science), ISSN No. 0976-8416. Umashankar Pandey, Gopal Singh Tandel,,“A survey on user’s request prediction: web usage mining”,ICIREMPS 2K15 (International Conference of Inter Disciplinary Research In Engineering , Management , Pharmacy & Science), ISSN No. 0976-8416. Umashankar Pandey, “Analysis ofCloud Computing Emerging Security Challenges & Problem Solution forSoftware as a Services“ICIREMPS 2K14, ISSN No. 0976-8416. Attended one week TEQIP-III Sponsored STTP on Computational Intelligence Techniques & Cloud Computing (CICC-2017). Attended one week One-week self-sponsored Short Term Training Program on "logic building using C and Matlab" Organized by NIT Raipur. Attended one-week training program on “JavaEE7 Enterprise application development“organizedby IEEE and CGCOST in 2015. Attended 14 Faculty Development Programs organized by IITs during 2008-2018. Attended Wipro Mission 10X program in 2010. Attended one-week Training session on “Software Testing Tools and practices in Industry” organized by CSI, Net linkSoftware Pvt.Ltd& I.S.C Software Bhopal in 2010. Attended Washington Accord Organized by NITTTR Bhopal in 2009. Completed IBM Certification for Object Oriented Analysis and Design Using Rational Rose (Course Code: DEV475) in year 2008. Received Best Faculty awardat Sagar Institute of Research and Technology in 2013. Having C certificate of NCC. Selected for Grameen Pratibhavan Scholarship by Govt. of M.P from 1996 to 1999.